Miuccia Prada’s embrace of the People’s Republic is looking like a mistake. Sales at the $9 billion Italian label in the nine months to October fell 7 percent from a year earlier in constant currency terms, the company said on Dec. 15. Greater China was the showstopper, with the top line shrinking by nearly a quarter. A strong dollar curbed demand from shoppers in the Americas and slower tourism saw sales fall 8 percent in the Middle East. Europe and Japan did better, but nearly a quarter of Prada’s sales are in the China region, where economic growth is slowing and luxury spending is also suffering from Beijing’s crackdown on corruption. Prada chose this road. The company listed in Hong Kong in 2011, rather than at home in Milan, on the back of a prospectus littered with references to the booming luxury goods market in Asia in general and Greater China in particular. Prada was also unusually frank for a high-end fashion brand in saying it had moved some manufacturing to the PRC. The logic was appealing to investors, too, with luxury sales growing by 25-30 percent in China the year Prada went public, Bain research shows. Now, though, the company is suffering for its focus. Along with its sales concentration Prada has more stores in the PRC than rivals, with 97 outlets there according to Jefferies against Kering’s Gucci with 62 and LVMH’s Louis Vuitton with 48. It may not just be the economy, either. Gucci, for example, saw a big pickup – about a quarter – in European and Japanese sales in its third quarter on a basis comparable with a year earlier, partly driven by Chinese tourists taking advantage of the weak euro and yen. Prada’s equivalent gains were in single digits, suggesting it may be losing market share to rivals seen as trendier. The group’s stock is down 39 percent this year. Broader Kering and LVMH are down a hair and up 11 percent, respectively. The devil may wear Prada, but the Chinese – for the moment – are leaving the brand in the dressing room. 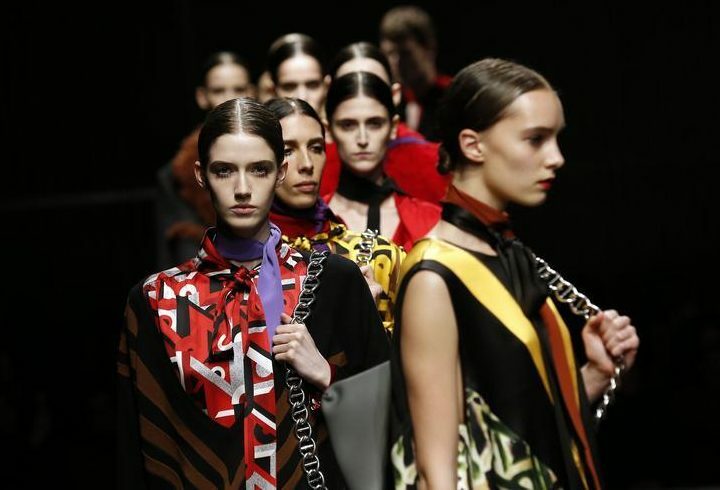 Prada on Dec. 15 reported net revenue of $2.5 billion euros for the nine months to October. Although a 1 percent increase from the same period a year earlier expressed in euros, at constant currencies the Italian luxury goods maker’s sales fell 7 percent from the first nine months of 2014. Net income for the period declined 27 percent to $238 million euros. Retail sales increased 4 percent as reported, but declined 5 percent at constant exchange rates. On the same basis, retail revenue in the Americas fell 8 percent in the nine months to October while Asia Pacific saw an 18 percent drop, including a 24 percent sales slump in Greater China. Prada’s Hong Kong-listed shares have lost 39 percent of their value since the beginning of the 2015.